Since my last post was about LinkedIn, I thought I would share the groups to which I belong on LinkedIn. I have only included the marketing groups I find useful. Inbound Marketers– Group Profile: Online group for marketing professionals. A community those looking to reach their best customers online through techniques like inbound marketing, search engine optimization (SEO) and social media. I do feel that it tends to be an engine to drive traffic to their seminars, but you can often find interesting conversations and smart people to follow here. 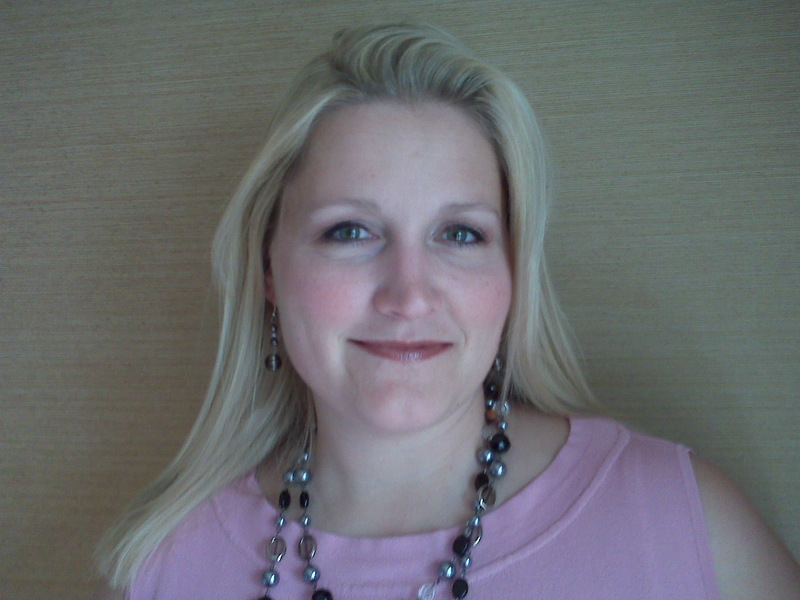 Southern Illinois Marketing & Communications– Group Profile: When you leave the large market, marketing and communications professionals begin to wear more hats in their career. The group is dedicated to those marketing, PR and Communications professionals who are juggling all three expertises (if not more). Since I happen to be located in Southern IL, I like this group to connect with other folks located or doing business in the area. It’s nice to stay abreast of issues specifically occurring in your region. Any other groups we should know about? What do you learn from them? One wrong tap on the keyboard, one too-fast click on the mouse–that’s all it takes to put a serious dent in your credibility on LinkedIn. Two times in the last week I saw group postings come through LinkedIn groups with substantial misspellings in the headline. And it’s not like they spelled the championship-winning word for the 2010 Spelling Bee wrong. I can’t find the other one…they must have realized the error and fixed it. Are my standards too high? Is it too difficult to proofread your own material? 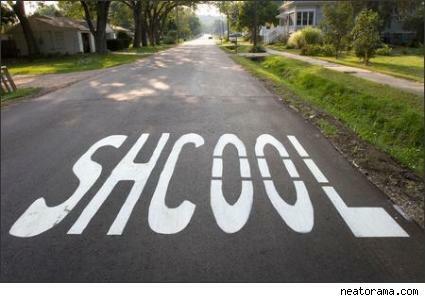 If you are an admittedly bad speller, have someone proofread your work. Or, if you are posting on a site that doesn’t have a spell checker built in, write your content in MS Word FIRST, then paste into the site. I have misspelled words before. But it usually is a result of working too fast or trying to do too many things at one time. To me, misspellings in the group situation on LinkedIn is saying that you don’t care enough about my time or interest to spell check your work or go through the same process to ensure accuracy as you would on a direct mail piece. Just because the medium of social media/networking is easy, convenient and lightning fast doesn’t mean that my time online is not as valuable as with more traditional media. I truly do want to know if my standards are too high. Yes, I can claim several spelling bee championship titles and I realize my standards for myself are much higher than others. But I still stick by my statement that your audience’s time is precious and you should treat it as such by not only posting things that are relevant, but making sure you have checked your work! 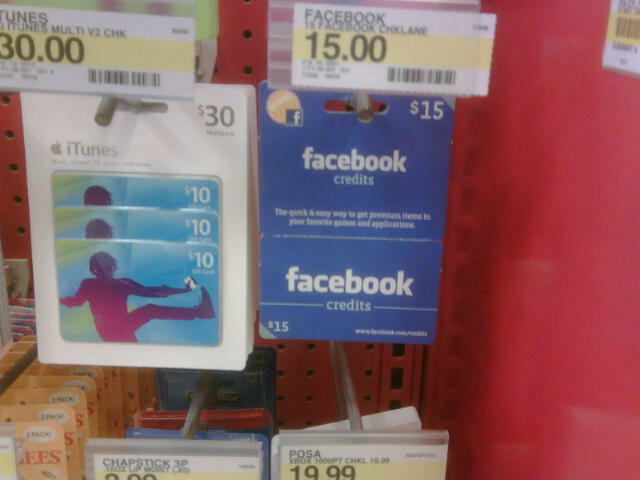 I Have Seen It All…Facebook Credits for Sale at Target! You could have picked my jaw up off the floor in the checkout line at Target. I don’t know why I allow myself to be surprised by things like this anymore, but I am. Right next to the gift cards you could purchase from Applebees, Target, iTunes, etc., was a gift card to purchase Facebook credits. Yep, you could give as a gift more reasons to waste time on the most popular social networking site. Amazing isn’t it that folks now actually spend money on Facebook for their additions to Farmville and other games/applications I routinely block. So if you were still skeptical that people were spending inordinate amounts of time on Facebook being lured into the games and third-party applications out there, are you convinced now? Are you going to take advantage of their ad-serving platform (remarkably similar to the Google Adwords platform) or perhaps build a third-party application for folks to get addicted to?